Champlin designed AVETeC’s cutting-edge new National Center for Advanced Modeling & Simulation for this not-for-profit research organization that aims to dramatically reduce the cost and time it takes to design, develop, and test new turbine engines for commerce and the military — saving government and taxpayers millions of dollars. AVETeC’s (Advanced Virtual Engine Test Cell), 37,000 sf headquarters houses incubator office space, a conference center, the Center for Condition-Based Maintenance — a world-class computer modeling and simulation laboratory, and a Tier III data suite (with Tier IV capability). 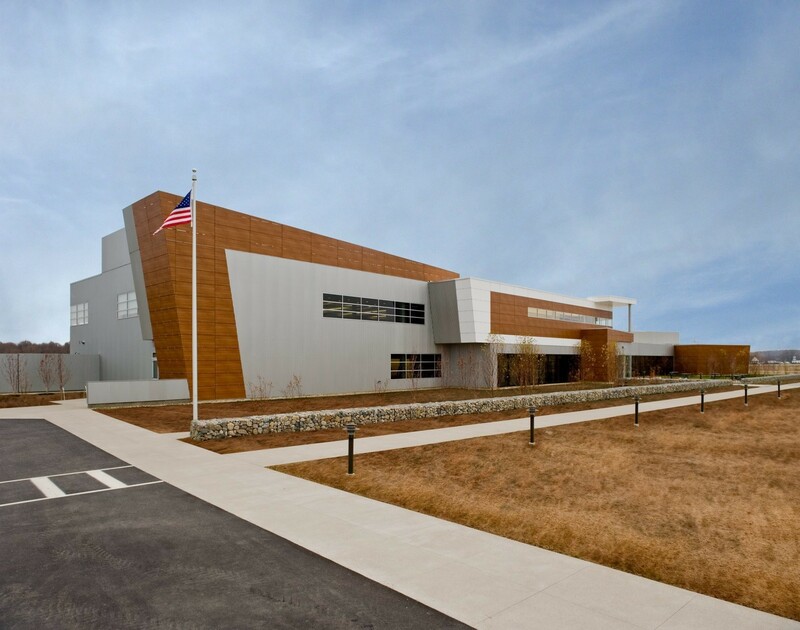 Outfitted with biometric security, server racks and data storage platforms support the engineering tools and software integration models utilized within the facility. 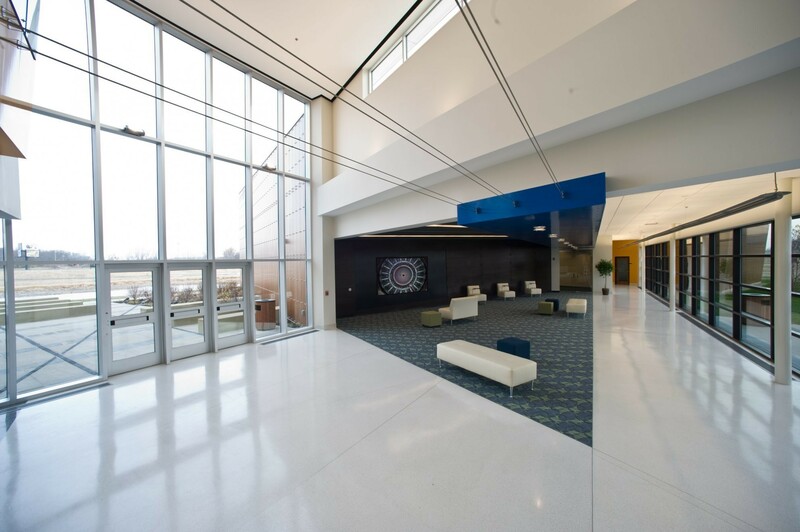 The data center itself is a learning tool, displaying the variety of infrastructure systems that generate the knowledge environment. Conferencing and collaboration capabilities support the research program, and are linked to the AVETeC research network. 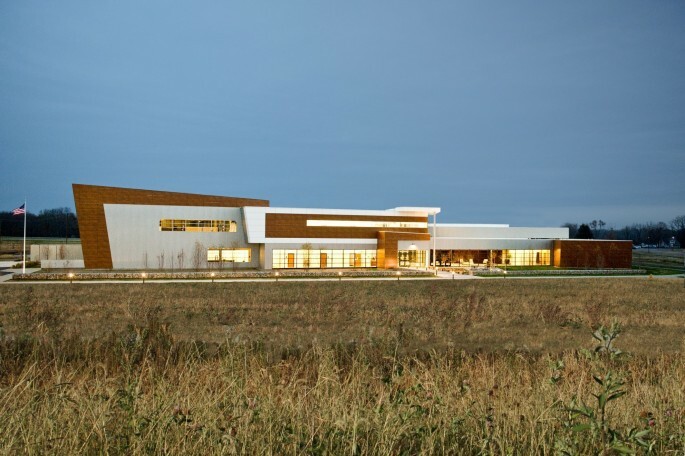 Bold, modern forms with a horizontal emphasis complement this prairie site, yet with upward inflection motivating visionary thinking. 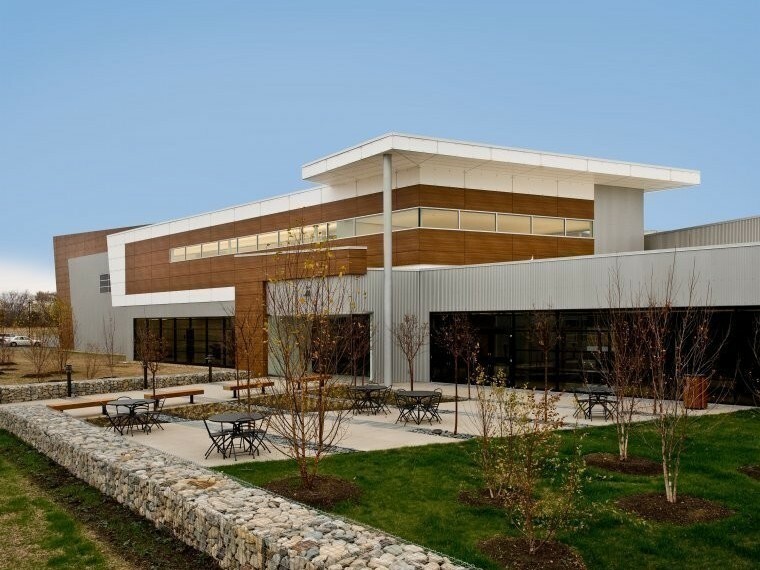 Dramatically sited within a sustainably-engineered park-like setting, architectural design is an abstract contemporary interpretation of the historic origins of flight, which the Wright Bros. pioneered nearby. 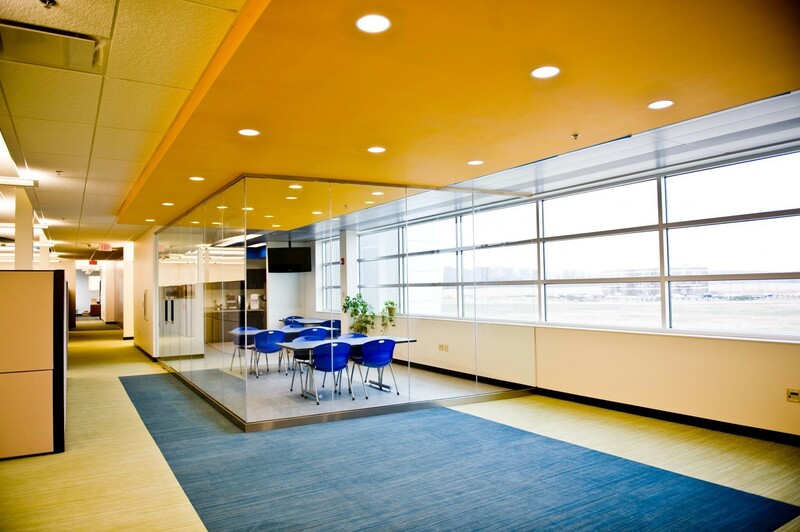 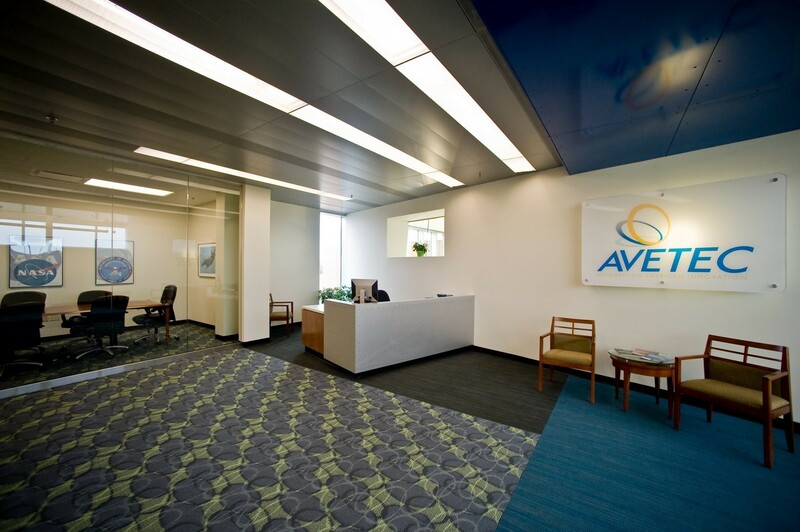 Visitors and employees are greeted by an open, day-lit lobby, with interactive video kiosks, flexible furniture, and environmental graphics that illustrate AVETeC’s core values and mission statement. 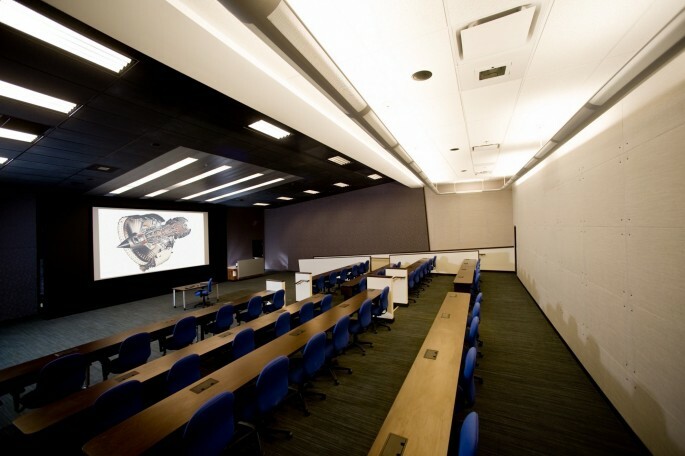 The simulation center, learning and research spaces, and employee areas reflect creative composition of spatial arrangement and the integration of sophisticated technology. 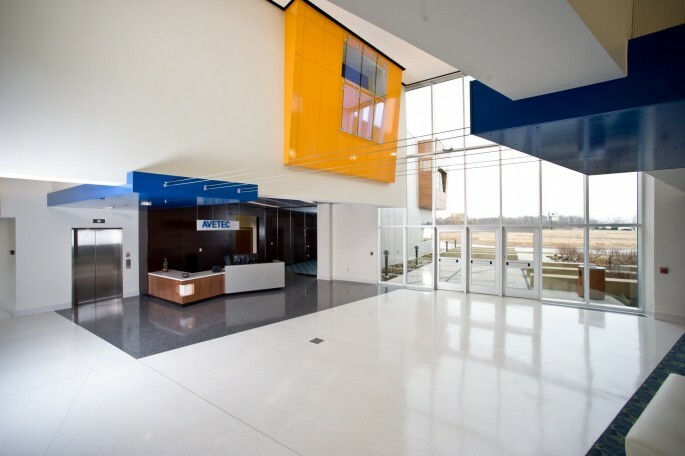 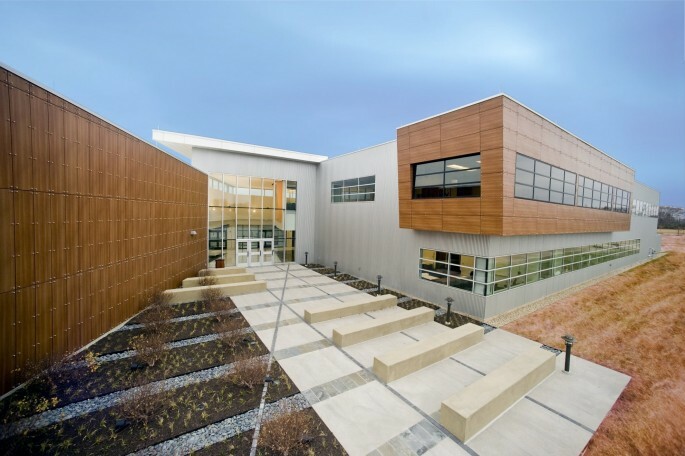 Champlin received a Cincinnati Design Awards AIA Honor Award for architectural design of this project.